This problem exists in Kali Linux still from the first version. 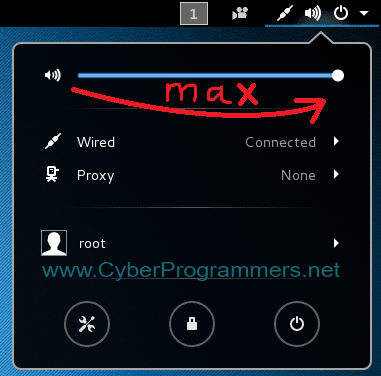 When you turn on Kali the sound is muted by default. You need to manually turn on the sound every time. There is a solution for that and today I will show you how to fix the sound problem in Kali Sana. 1) Before you begin I do recommend to install kernel headers on your Kali. Make sure you are executing the command as a root, if you are signed in as a user account with administrative privileges then add a sudo at the beginning of the command. 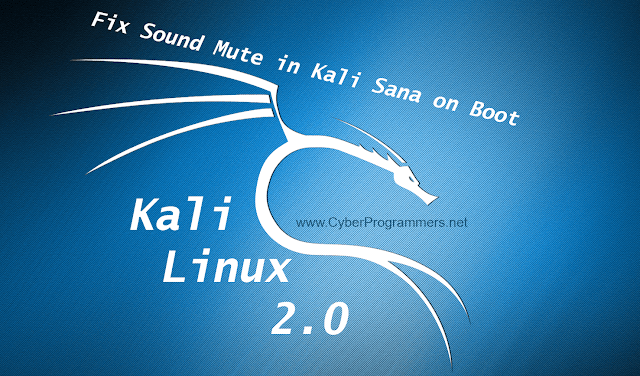 2) When the installation process finished, simply reboot Kali. 3) Now click on the sound icon on the right of the top panel and turn on the sound. Next time it will but up with sound.